Itching to get out and explore? 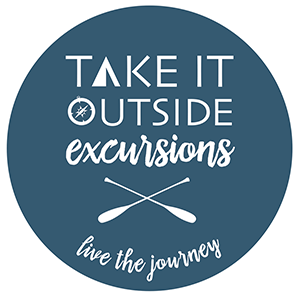 Take It Outside Excursions offers exactly what you need to get out into the world and enjoy every little bit of it - from rock climbing to camping, live music to nature photography - you’ll find that these all-inclusive getaways will reintroduce you to the great outdoors. Take It Outside Excursions aims to introduce or reintroduce you to the Great Outdoors. When was the last time you went on an outdoor adventure? 20 years ago? 15 years ago? Never? Well, Take It Outside Excursions aims to change that. Founders Amy Devine and Adrian Hogel, who are high school friends born and raised in Cincinnati, are avid travelers who want to show others just how they can use the outdoor world to find a healthy, fun, sustainable way to exercise. With that thought in mind, they launched Take It Outside Excursions, offering all-inclusive getaways to introduce or reacquaint you with the great outdoors of the Midwest and beyond. The duo adds that when you return home you’re sure to feel energized, refreshed, confidence, and you’ll be bringing back a little extra know-how. Whether it’s on water or on land, Take It Outside Excursions wants to show others what nature has to offer, starting with the regions that is oftentimes the most overlooked: The Midwest. Activities from Take It Outside Excursions include, but are not limited to, kayaking, yoga, rock climbing, camping, Reiki, hiking, trail/road running, cycling, WFA, wine tastings, brew tours, live music, stand-up paddleboarding (SUP), birding, wildlife education, nature photography, meditation, and Shinrin-yoku. While outdoor adventures can make you think about safety, you’ll be in good hands with Devine and Hogel. 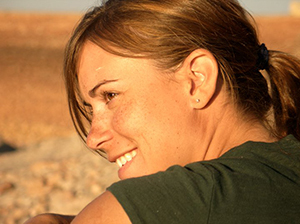 Devine was a full-time employee at P&G for 12 years before she left her desk job to travel, kayak, camp, and backpack while also securing a few certifications along the way. Today, her biggest passions include spending time in nature and coordinating events and trips where she can enjoy nature. 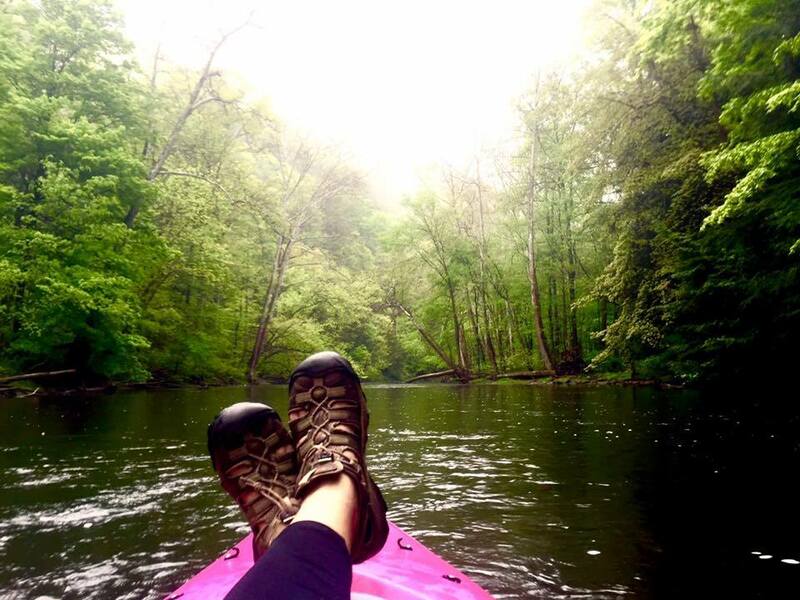 Currently, Devine and Hogel offer two published excursions including a 3-night paddle/yoga/winery tour weekend in Bellaire, Michigan, and a 2-night camping/trail running/rock climbing weekend at the Red River Gorge in Slade, Kentucky. “We have several other trips lined up that will be published later this summer after our July 23 launch,” adds Hogel. Devine and Hogel say that the goal of Take It Outside Excursions is to provide affordable trips for any budget. “Since we are local, and we cover transportation by vehicle, we can eliminate expensive airfare charges,” says Devine. Trips run anywhere from $50 per person to $500 per person, depending on the trip length, accommodations, staffing, and the intensity of the agenda. The current trip to Northern Michigan is 50% off at $440 per person. This includes transportation, a 3-night stay at a Bellaire lake house, all meals/drinks/snacks, 3 professionally-guided sunset paddles, 2 professionally-guided sunrise yoga sessions, 1-2 professionally-guided trail runs, an afternoon of wine tastings on the Old Mission Peninsula, and lots of photography and sightseeing. The trip to Red River Gorge is also 50% off, at $225 per person. It includes transportation, 2 nights of camping with all gear provided, all meals/snacks/drinks, 4-hour rock climbing 1-1 instruction via AMGA, professionally-guided trail runs and hikes, and campfires in the evening. Currently, Take It Outside Excursions is run out of Mt. Washington on Cincinnati’s East Side. 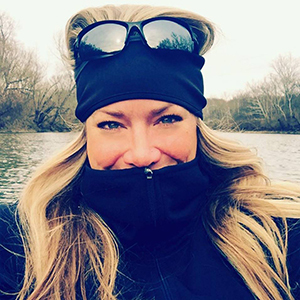 The central meeting location for trips and events will take place at Revolution Fitness in Newtown, where Devine teaches kayaking, and several Take It Outside staff members belong as gym members. Revolution Fitness is also the gym of Mary Beth Riesenberg, who has been a friend and collaborator of Take It Outside since the beginning. Devine and Hogel say that they will likely begin the search for a storefront next year, in either Anderson, Newtown, or Milford. They also hope to include a local gear trade section of the business because they believe that enjoying the outdoors shouldn’t be expensive. In the meantime, Devine and Hogel say that they are busy preparing for the Take It Outside Excursions Launch Party on July 23 at Revolution Fitness from 4-8 p.m. The party will include local outfitters and vendors, beer trucks, food trucks, music, raffles, and giveaways. They also add that one lucky person will win a free Take It Outside Excursion trip. And if you want to get in the outdoor state-of-mind, there will be a fleet of kayaks and SUPs for adults and youth to take out on the lake behind Revolution Fitness. To learn more about Take It Outside Excursions, visit www.tioexcursions.com. You can also like them on Facebook and follow along on their outdoor adventures on Instagram. The ladies say that you can also win prizes by using the hashtag #TIOEX on your own adventures or visits around the Midwest.